Recent model of the tough and reliable Ford Transit, this mdoel has an increased in carrying capacity over the standard transit. See the description below for dimensions. Call us for advice on 01224 621002 to discuss if this vehicle is suitable for your needs. 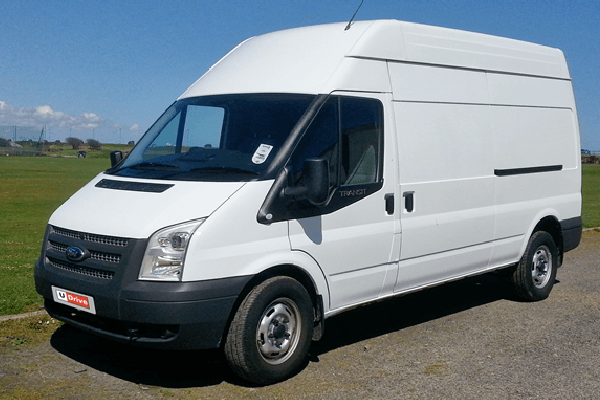 Long Wheel Base, High Roof Transit Van Dimensions in metres.